We are very glad to help you ! We guarantee the real item are the same as the picture . We guarantee the item are the best quality. after your confirmation and approval,we'll arrange shipping accordingly. We guarantee the sound quality ,nice service, fast shipping . and bring you much more joy and happiness! 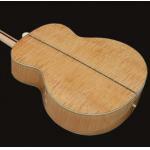 2.Our guitar are come with foam box, easy to carry and safety enough for guitar. pics please reply as soon as possible. the package to help customers clearance. 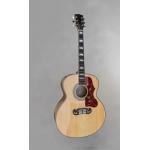 We accept Paypal,Wester Union, Company Bank Account Tranfer etc..
Hi, my name is Antonello from Italy and I'm interested in the Gibson model J-200 acoustic guitar. 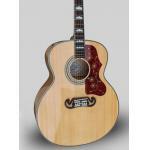 I need a nice guitar and this is ideal for the country-rock music. Is the guitar entirely in maple...Can you have more photos of the model on my email. How much does with shipping to Italy. My name is Marcello and I'm writing from Novara (Italy, not far from Milano). 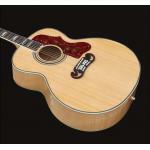 I play acoustic guitar in a band and I'm interested in J200. I just wanted to know if the guitar has only solid top (with sides and back of other kind) or all solid wood. And I wanted to know if the "final price" is 499 $ without hard case. I have a friend who is interested in Taylor 614ce and would also ask if it's possible to get a serigraphy on an electric guitar as Ibanez, and the cost of the serigraphy. Sorry for the disturb, and thank you in advance for your attention!